His Majesty King Billy has just returned from his royal visit to the wonders of the East! Beauty beyond words has captured the King’s heart and mind. And it is here, into our blog that the Writers Guild has worked day and night to put into text the marvels of China, as seen through the eyes of our King! So, we have decided to visit the East, but not during spring. With the advent of the Chinese New Year, on February 5, initiating the Year of the Pig (or is it the Year of the Monkey, we must consult our Chancellors on this), we found it a befitting occasion to visit the wild orient just before the New Year festivities. Aye, we have been pleased by both the land and its royals. During our trip, we travelled across 3 Kingdoms, paid a visit to His Highness the Emperor of the Sea and met with the Dragon King and his Dragon Lady in the Prosperity Palace, with an ancient gong announcing (rather cacophonously) our royal presence. We were informed about the Emperor’s Wealth (considerable, but of course lesser to ours), we saw at point blank the four divine beasts, the dancing lion and the 8 dragons he has in his possession and we were mildly entertained by his Six Acrobats who demonstrated for us the 3888 ways of the Dragon. Make a deposit of EUR30 (or equivalent) and get 88 Free Spins on Habanero’s fantastic slot Ways of Fortune! And that’s not all! 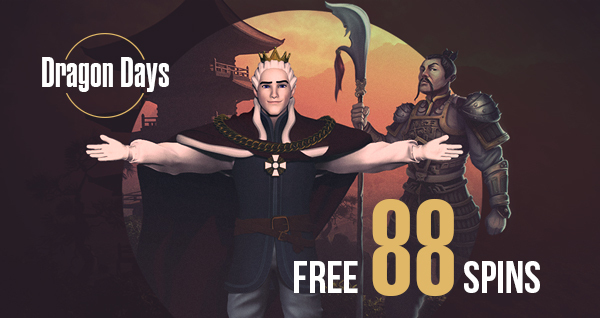 Play now in King Billy’s fantastic daily Dragon Tournament which gives out 138 Euros every day, with only 3x wager! Dragon Days are here! Play with the Dragon! Be the Dragon!